Apart from the search engine from Google that we use, some other widely known google projects are google earth, google maps, google android, blogger, google plus, google photos, google domains, google art, google news and so on. But again, there are projects that are awesome but too less known to the public. Lets take a look at few of such projects developed by the google employees. Google's Public Data Explorer provides public data and forecasts from a range of international organizations and academic institutions including the World Bank, OECD, Eurostat and the University of Denver. These can be displayed as line graphs, bar graphs, cross sectional plots or on maps. The product was launched on March 8, 2010 as an experimental visualization tool in Google Labs. Solve for X is an online + offline community of people who believe that science and technology can cause radically positive things to happen in the world. Each Solve for X proposal addresses a complex, global problem with an outlier solution / perspective / approach, enabled by a novel application of existing science or technology, or a game-changing breakthrough. The Solve for X platform helps amplify the visibility of these audacious projects and connects project leads with others in the Solve for X community who may have subject-matter knowledge, technical expertise, and other resources that can help accelerate progress on making the project a reality sooner. The web today is a growing universe of interlinked web pages and web apps, teeming with videos, photos, and interactive content. What the average user doesn't see is the interplay of web technologies and browsers that makes all this possible. Over time web technologies have evolved to give web developers the ability to create new generations of useful and immersive web experiences. Today's web is a result of the ongoing efforts of an open web community that helps define these web technologies, like HTML5, CSS3 and WebGL and ensure that they're supported in all web browsers. Google Flights is an online flight booking service which facilitates the purchase of airline tickets through third party suppliers. An innovation of Google Flights is that it allows open-ended searches based on criteria other than destination; for example, a user may search for flights within a range of times and a budget and be offered various destination choices. Build LEGO with Chrome is a web application that allows users to explore and build a world of digital LEGO creations. A collaboration between Google Chrome and The LEGO Group, build with Chrome was originally developed by a team of Google Australia developers for the LEGO Festival of Play. In January 2014, the Google Chrome team opened up Build with Chrome to everyone and added features such as the ability to sign in with a Google Plus account to help you find builds that people in your circles have created, a new categorization system for completed builds, and Build Academy. If you're into trivia, and you know where most places are on the map, then Google's new SmartyPins game is sure to entertain you. The geo-trivia mashup game runs on the Google Maps platform and allows players to spend 1,000 miles trying to mark the correct location to answer each question. Google Trends is a public web facility of Google Inc., based on Google Search, that shows how often a particular search-term is entered relative to the total search-volume across various regions of the world, and in various languages. The horizontal axis of the main graph represents time (starting from 2004), and the vertical is how often a term is searched for relative to the total number of searches, globally. Below the main graph, popularity is broken down by countries, regions, cities and language. 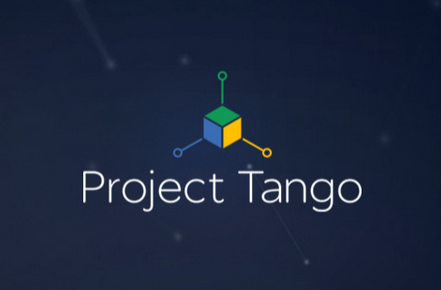 Project Tango is a smartphone and tablet project by Google’s Advanced Technology and Projects group (ATAP), formerly a division of Motorola. The "Project Tango" prototype is an Android smartphone-like device which tracks the 3D motion of the device, and creates a 3D model of the environment around it. Google transliteration is a transliteration typing service for several languages. This tool first appeared in Blogger, Google's popular blogging service. Later on, it came into existence as a separate online tool. This tool from Google is based on dictionary based phonetic transliteration approach. It translates English into any desired language as you type.